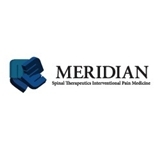 Meridian Spinal Therapeutics Interventional Medici (Coral Gables) - Book Appointment Online! It is our mission to improve the quality of life for people with chronic pain and disorders of the spine. We are nationally recognized as a center of excellence and offer the latest techniques and therapies to bring you back to optimum health. Whether your treatment is medical or surgical, simple or complex, the Meridian team takes a scientific approach to uncover the underlying source of your pain and then applies the most effective treatment available to resolve it. They took the correct course of action to remedy my problem. After 5 weeks in pain all the pain was gone in 2 days.